Vocabulary tests to accompany the popular English Vocabulary in Use Elementary second edition. 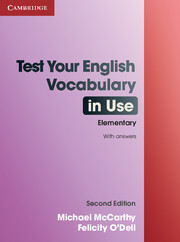 Test Your English Vocabulary in Use Elementary 2nd edition can be used on its own or with the companion volume English Vocabulary in Use Elementary 2nd edition. 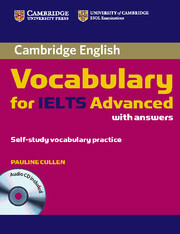 It is a handy book of tests covering the vocabulary practised in English Vocabulary in Use Elementary 2nd edition. A convenient revision aid with 60 easy-to-use tests. Has a clear marking system on each page so that progress can be easily checked. Offers a wide variety of enjoyable test types to help build confidence in using vocabulary.